There's something about Buenos Aires that charms the world. The mere sound of its name commands respect for its history, and its seṅors and seṅoritas never fail to mystify anyone who travels to this Latin American jewel. The economy of Argentina is headquartered in Buenos Aires, being the country's financial, industrial, commercial, and cultural hub. It serves as the distribution centre for a vast area of the south-eastern region of the continent. The Metro Buenos Aires constitutes the thirteenth largest economy among the world's cities and holds an expat population of 13%. With a population of 3,050,728 people, the city has plenty to offer expats who are interested in relocating to Buenos Aires. Buenos Aires is divided into forty-eight barrios or districts for administrative purposes, the Santelmo, Microcentro, La Boca, Palermo, Recoleta, Belgrano, Almagro, Boedo, Caballito, Congres, San Cristobal, Puerto Madero, Retiro, Tribunales and much more. The three most populous areas are the Palermo, Recoleta and Caballto. Argentina's subtropical climate allows rainy days to occur at any time of the year and hailstorms from time to time. The city is ideal for spring and fall while during summer it can be very warm. 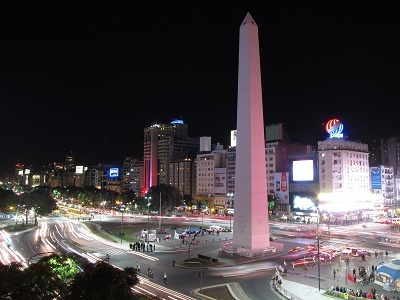 There are so many things to do in Buenos Aires, such as enjoying the café con leche in a very lively environment, walking alongside Purto Madero, watching locals tango at Milonga or simply going downtown to visit the Plaza San Martin, Obelisk, Plaza de Mayo, and the Casa Rosada. Expats who adore the feline kingdom will have the time of their lives with varied types of cats in Parque Carlos Thays near the Jardin Zoologico. Shopping fanatics can shop till they drop in the numerous boutiques in Palermo Viejo while history buffs can be simply overwhelmed by standing in the midst of female Argentine leader Evita Peron's grave and other beautiful mausoleums at Recoleta Cemetery. Buenos Aires, Argentina is the place where one can feel the true essence of the Latin American culture with a great number of festivals happening within a year. Due to the great influence of religion on the people, these festivals are celebrations of religious practices involving barrio saints. In fact, the city is home to the Roman Catholic Metropolitan Archbishop and is thus considered the Catholic capital of Argentina. Other religions also exist including Protestant, Muslim, Orthodox, and Jewish. The official language in Buenos Aires is Spanish, although English is widely spoken while some expatriates also speak French and German. Expats who do not want to bring too much baggage when making the big move are in luck. In Buenos Aires, clothes are of high quality but cheap. It is better not to bring too many old clothes and just get new ones in any of the city's shopping districts. People do a lot of walking and rarely take any form of transportation so a good pair of walking shoes are a packing must. The weather is more or less temperate except in August when it can get freezing cold, so there's no need to bring too many winter clothes as a light sweater or a jacket will do. But very important to bring are over-the-counter medicines such as Claritin D or Advil which are not too common in the city. Dubbed as the "Paris of South America," Buenos Aires is clearly not only a place to see and be awed by its majestic beauties. It is also a place worthy of being called a new home. You can start browsing through online portals that have real estate listings in Buenos Aires even before your arrival. These websites usually contain the prices and locations of the properties which will give you an idea about the city’s rental market. But if you are not fluent in speaking Spanish, it is best that you contact local English speaking realtors once you arrive. These professionals have a broad range of options and know the neighbourhoods very well. They can also help you communicate and negotiate with the landlords who only speak Spanish. Before signing a contract with your landlord, ask first if the utilities are part of your rental pay. If not, the average monthly cost for your essential services like water, electricity, gas and garbage collection is €100. An unlimited internet connection with a speed of 10mbps is around €35 while local mobile prepaid calls are charged €0.30 per minute. It is faster to find short term rentals in Buenos Aires since long-term agreements (more than three months) with reasonable prices are not easily available to foreigners (extranjeros). Most landlords (dueño) require a garantia or someone who has a property to sign the contract guaranteeing on your behalf that you will take care of the apartment and will not run away from any obligations. The monthly price for a one bedroom apartment in the central business district starts at €400 and €800 for a three bedroom unit. You can also find rentals in neighbouring areas which are usually €300 per month for a one bedroom flat and €630 for a three bedroom unit. The Lincoln School, which was founded in 1939, is one of the leading international institutions in Buenos Aires which uses English and bi-lingual in teaching. Its curriculum is based on U.S accredited standards and is currently handling students from all nationalities. The city also implements compulsory education for ages six to fourteen. 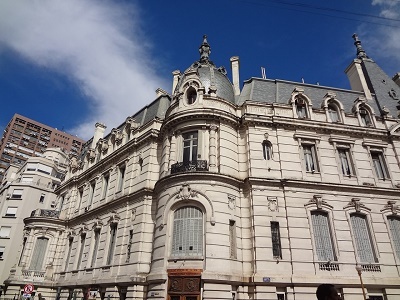 You can check some of the local schools like the University of Buenos Aires, the largest university in Argentina which was established in 1821. You can contact shipping and removal companies to help you bring your belongings to Buenos Aires. These professionals have long years of experience in helping expats import items abroad and provide door to door service where they will handle the whole moving process for you. It typically takes 27-32 days (depending on your country of origin) for the containers to arrive at the Port of Buenos Aires where local customs officials will inspect the cargos. For more information about the city’s import regulations, click here. 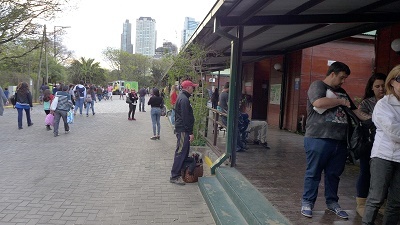 You can bring your pet to Buenos Aires as long as it has a rabies vaccination at least 30 days and not more than one year before its arrival. A licensed veterinarian should also give you (10 days before import) a completed form of the Veterinary Certificate for Argentina. Make sure to present the original copies of these documents to the veterinary officials in Buenos Aires so they can clear your pet for entry. There are bus stops situated in almost all parts of the city making it easy for commuters to ride one. But keep in mind that the locals strongly respect the idea of falling in line so make sure you have the patience to wait in the queue. Buenos Aires is the fastest growing city in Argentina when it comes to population, so if you want to bring your car instead of travel using public transport, here are some of the documents that you need to prepare. The capital and largest city of Argentine Republic promises a colourful and vibrant cultural life to the expats planning to live there. Buenos Aires, known for its European-style architecture, is also a surprise ready to unfold for expats as they unravel one barrio at a time. With a population of a little over three million, for many years, Buenos Aires has been a multicultural city which always welcomes expatriates with a warm embrace to their diverse culture. The quality of life in this reputed ‘Alpha City’ has been ranked 93rd in the world and one of the highest in South America. For the last 150 years, Buenos Aires has opened its doors to millions of people from all over the world and its diversity, excellent quality of life, fair winds and great weather are just some of the amazing things that await expats that are about to set sail to the heart of Argentina. The lively city is full of playgrounds and parks where kids can freely play and mingle with local kids. Buenos Aires’ kids are very much into the “football (soccer) culture immersion” and River Plate Stadium could be one of your destinations for this as it is safe and kids would love the crowd’s energy. Outdoor attractions such as the Parque de los Ninos which has a view of the Rio de la Plata, La Boca and the El Caminito (“little walkway” or Colourful Caminito) is a visitor’s favourite for it's colourful brightly painted tenement houses and crowd-pleasing tango. The Argentine cuisine is characterised as a cultural mixture of Mediterranean influences, particularly from the Spanish and the Italians. This city is known for its beef-oriented diet which is mostly consist of beef and lamb meat or what the locals refer to as ‘carne’. Some of the Argentine cuisine staples are asado (long strips of beef cooked in a sweet sauce) chorizo (pork sausage), morcilla (blood sausage), chinchulines (slow cooked broth made from small intestines of pig) and mollejas (sweetbread). Buenos Aires is also popular for its many Italian restaurants that serve pizzas and pastas. Here, expats will find freshly made, mouth watering dishes such as canelones (cannelloni), fideos (noodles), tallarines (fettucine) and ñoquis (gnocchi). Driving around the city of Buenos Aires could be simple direction-wise as it is divided into blocks. However, traffic congestion could be chaotic, and expats are advised to be patient about it or instead, do not drive altogether. All expat drivers must have an International Driving Permit and their national driver’s license from their home country. Other requirements include vehicle’s registration, green card (tarjeta verde) and tax insurance. Exchanging money in Buenos Aires is preferable at casas de cambio, also known as money exchange booths and most of the banks in the city. There is also lots of illegal money changer in the streets such as in Calle Florida, but for safety issues, it is best to exchange money only in regulated institutions. Several branches of the Banco de la Nacion can be found all over the city wherein expats may exchange currency or withdraw money from ATMs. Porteños or the “People of the Port” are the native BA residents. Finding a way to improve Spanish skills can be easily done by immersing with the Portenos who are fond of talking and conversing with expats. The city has been familiar with immigrants mainly coming from the US and Europe. Because many people in Buenos Aires are of European descent, expats can expect that they are more comparable to Europeans rather than the Latin Americans. Porteños are known for being proud of their country and heritage. They are also refined, direct, open and unreserved when it comes to sharing their passions. The expats have a significant contribution to the ethnicity and diversity of the culture in the city. Anyone fond of tango and football, in particular, are sure to love their stay in Buenos Aires!